Here is a quick Easter treat bag idea, using punched-out flowers for a springtime feel. 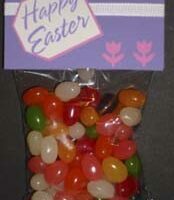 Plus links to other Stampin’ Up Easter bags, pouches, boxes, and treat holders. 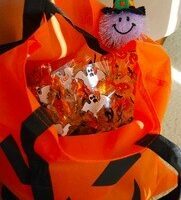 Here is an idea for a Valentine Treat bag for giving away treats. If you have a small heart punch and some cardstock, you’re ready. 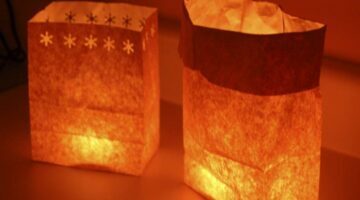 The best part is that it requires no stamping and can literally be done in less than 10 minutes! This morning on the Today Show, they were discussing if it is ‘ok’ to recycle gifts. I typically don’t recycle gifts, but I am guilty of recycling gift cards. This is the season for gift cards, so if you have stamping or scrapbooking supplies….this one is for you. How about some sweets for your Sweetie? This is easy, quick, and best of all – handmade. I love giving out treats to coworkers and friends, but I really like to give something more personal than candy. 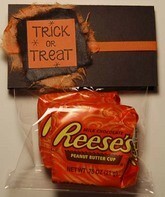 So handing out these treat bags is the easiest way for me to do that — while still providing some ‘sweet treats’. The Christmas Stamp Camp was held this past weekend at Old Hickory First Baptist Church in Nashville, TN. There are two sessions, each having about 60 attendees. Everything you need to create the projects is ready for you, and you’ll leave with great new ideas. All projects were created using Stampin’ Up products.